WHEATPASTES, STENCILS AND STICKERS, OH MY! In prior posts, I described how the ancient world used wheat paste to post legal decrees, public notices, advertisements, and ephemeral artwork. 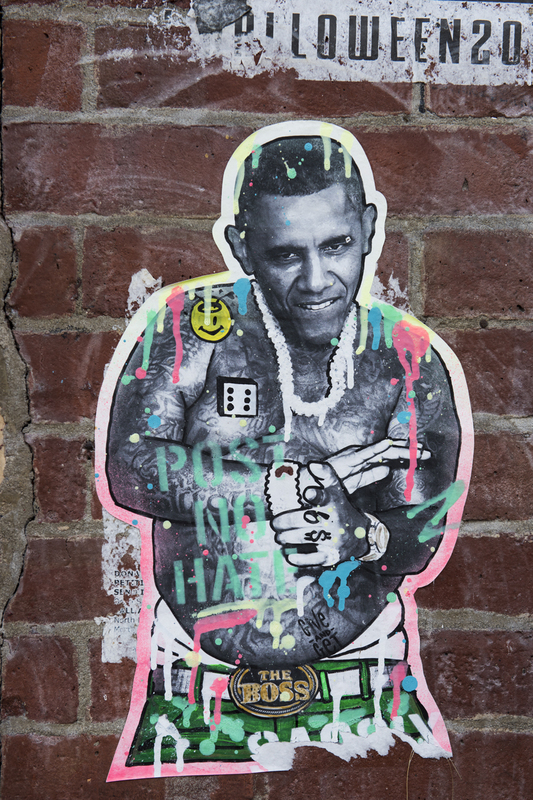 In our time, the term wheatpaste characterizes a particular form of street art: an illustration, painting or photo that an artist adheres to a public surface.